Acura Rear Door Driver's Side Neither Locks Nor Unlocks. 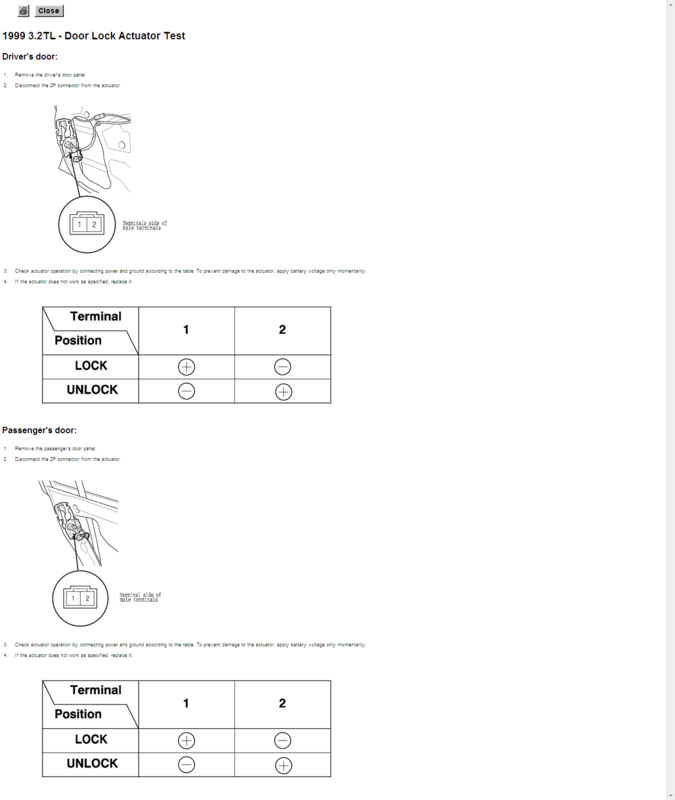 The Acura TL's driver side rear door lock is not locking or unlocking with either the front door switch or the remote. Sometimes it unlocks but once it does, it will not lock. MASTER TECH : Hello, welcome to just answer. This is caused by a faulty door lock actuator and is a very common problem. Customer: Should I replace the actuator? MASTER TECH : Yes, this is the problem with the door. Customer: Is this something that I can do myself if I purchase the actuator? 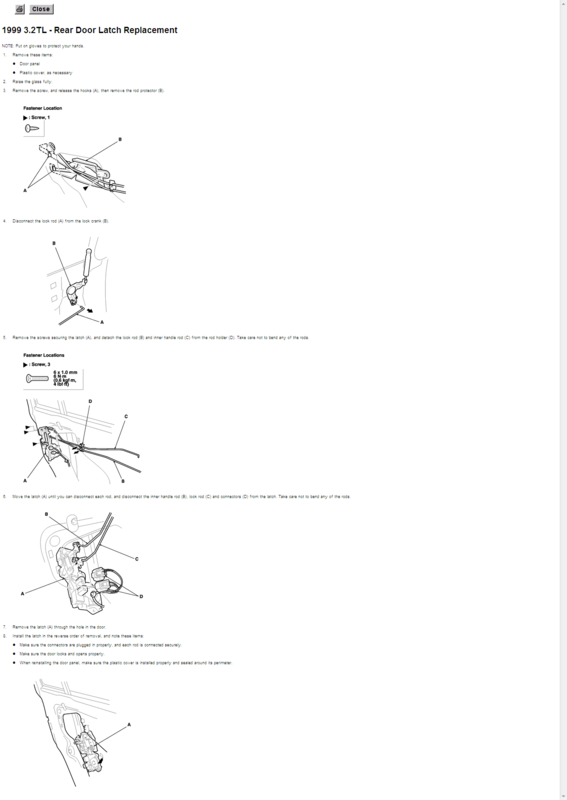 Here is the latch removal information once you get the door panel off. Are you able to remove the door panel or need the info? 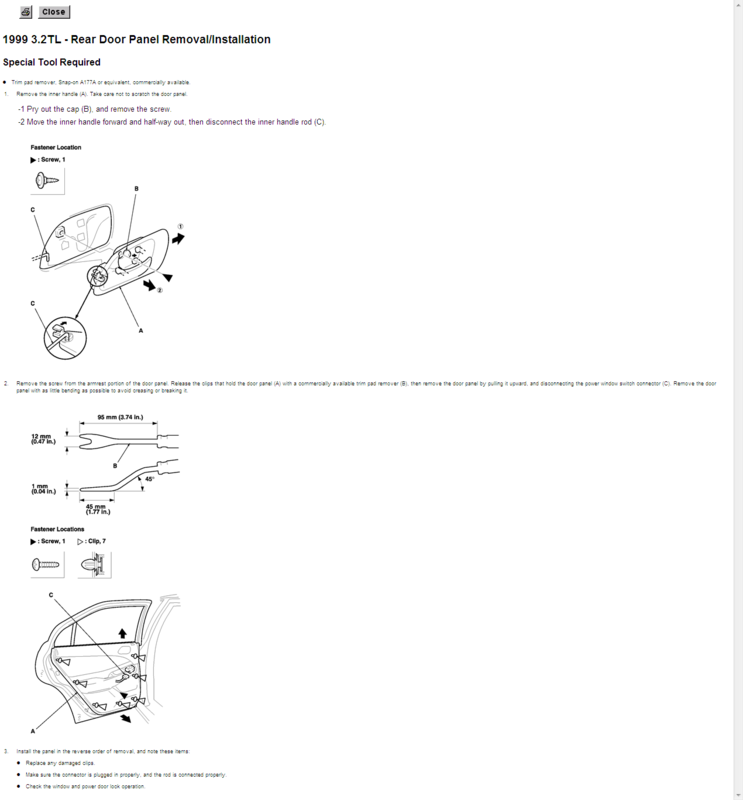 Here is the rear door panel removal info in case you need it. Here is the test for the actuator in case you want to test it. Customer: I think it will be best to leave this repair to the shop. Car doors wont unlock. Trunk does unlock. Used both sets of keys. tl: my doors wont lock electrically...manuelly push them down.